“The system worked,” Carl Bernstein’s famous assessment of Watergate, turns out to be completely wrong. Powerful new evidence reveals that in the most consequential scandal in American history, virtually nothing worked as intended. The real Watergate scandal is how our Constitution and Bill of Rights were deliberately trashed in the successful effort to realign political power, drive President Nixon from office, and imprison his senior aides. 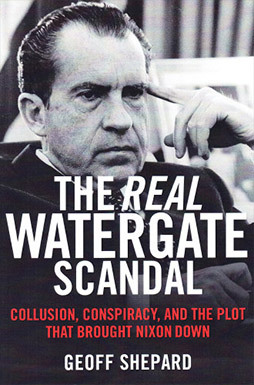 Watergate was a coup d’état that overturned the largest landslide in American history and destroyed a President who had humiliated the liberal establishment. Geoff Shepard’s investigative work has unearthed buried elements of the plot that brought down the 37th President. 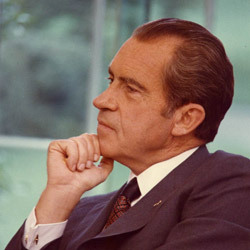 Pat Buchanan, senior advisor to three Presidents, two-time candidate for the Republican presidential nomination, and author, most recently of The Greatest Comeback, How Richard Nixon Rose from the Dead to Create America’s New Majority. There are few books which I would call genuinely revelatory and indispensable. This is one of them. If you love America, you must read this book. Ben Stein, writer, lawyer, actor and commentator on political and economic issues. James Rosen, Fox News chief Washington correspondent and author of The Strong Man: John Mitchell and the Secrets of Watergate. 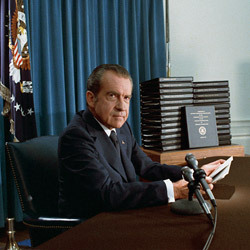 Document by document, Shepard builds an ironclad case against the very prosecutors who drove Nixon from office. Hugh Hewitt, successful radio talk show host with the Salem Radio Network, lawyer, academic, and prolific author, most recently of The Queen: The Epic Ambition of Hillary and the Coming of a Second "Clinton Era".